The following table is a ranking of all distinguished awards included in this report by a “prestige” factor established by ICDA for purposes of ranking all awards according to their international influence as practitioners of awards giving, the recognition of award recipients, and as models for other awards as explained elsewhere in ICDA Prestige Rating. 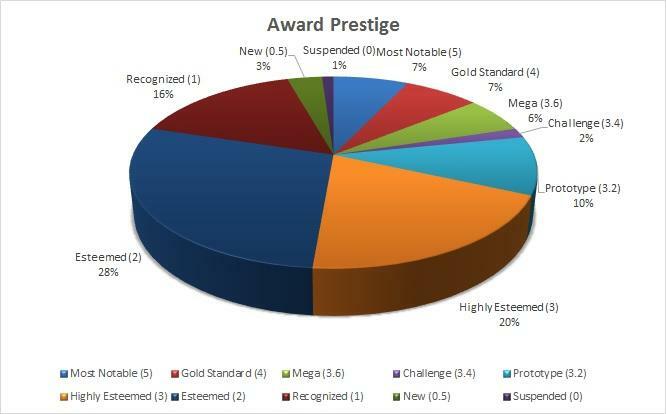 The graph represents the breakdown of awards by prestige. This table seeks to display the “principal award amount” of each distinguished award included in this report. Amounts indicated are expressed in US$ equivalents on 1 April 2014 according to exchange rates posted by Google on that date from currency rates provided by Citibank N.A. Challenge prizes by their very nature tend to exceed the amounts given on an annual basis by most awards. The graph represents the breakdown by money groups. This table seeks to display the total amount of money awarded annually or on a periodic basis by each distinguished award included in this report. Amounts indicated are expressed in US$ equivalents on 1 April 2014 according to exchange rates posted by Google on that date from currency rates provided by Citibank N.A. 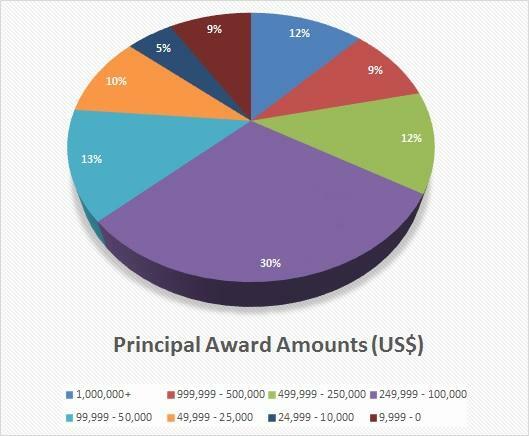 Challenge prizes by their very nature tend to exceed the amounts given on an annual basis by most awards. The following table is arranged from the oldest to the most recently created awards. The age of an award is determined by the date of creation posted by the organizations sponsoring or administering the awards. 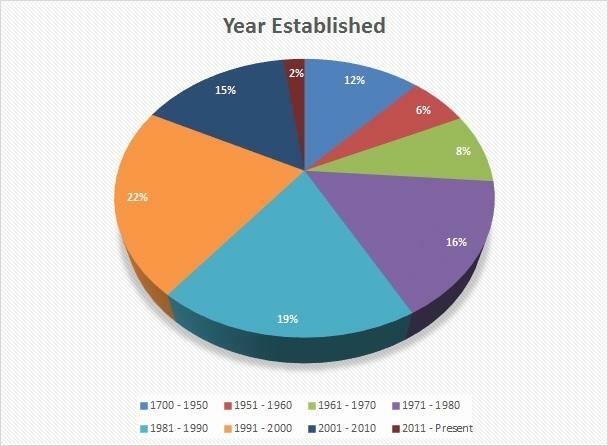 The graph displays a breakdown by decade of when the awards were created. 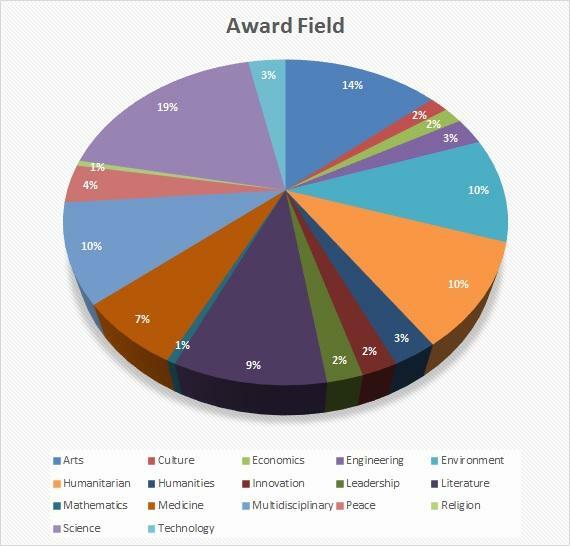 ICDA has created a category of specific awards fields so as to gather information on groups of awards that are related by their topics of learning, research, innovation, or pursuits. Fields currently recognized in this system of categories: Arts, Culture, Economics, Engineering, Environment, Humanitarian, Humanities, Innovation, Leadership, Literature, Mathematics, Medicine, Multidisciplinary, Peace, Religion, Science, and Technology. The field of Multidisciplinary includes programs with awards in more than one of the separate categories. The graph represents the number of awards broken down into their fields. 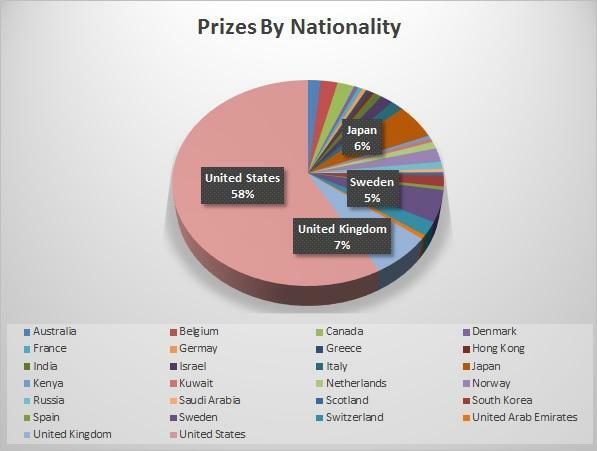 The nationality of each award is the location of the administrative offices of each award as posted on the individual award website—irrespective of whether the award is international in purpose and scope. The graph represents the breakdown of awards by country.